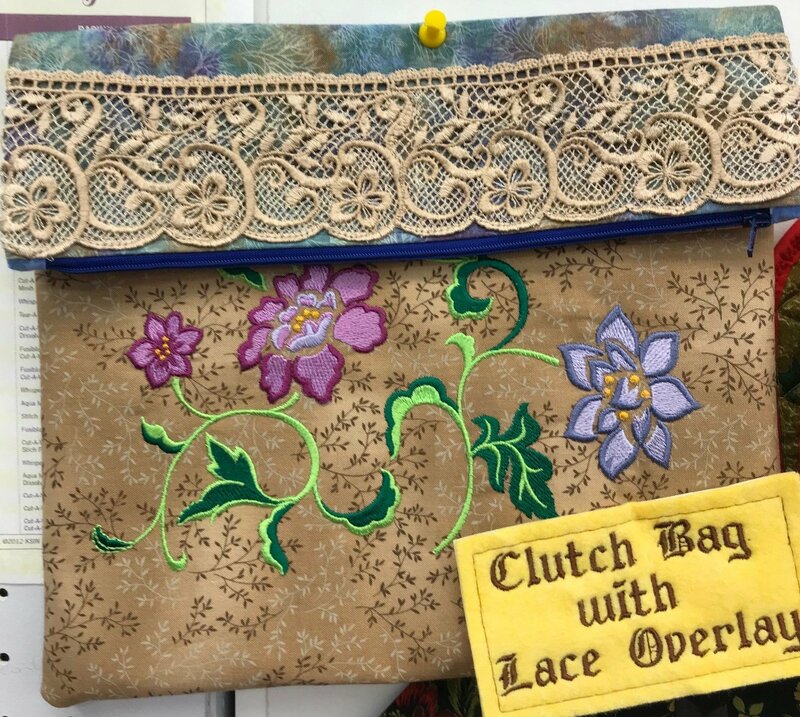 While making this handsome bag we will use our machines to embroider a design and make lace overlay. The bag is simple yet elegant. $15 if your machine was purchased from us. Please call store to register.